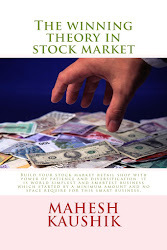 2.So stock of birla cotsyn is not bad but if you read my book then you knew that after stock split and bonus issue a stock enter in 2-3 year rest zone. 4.Teledata technology already suspended and delisted so it is very hard to make any comment about future of a suspended company. 5.Ind tradeco ltd have a good positive sign of recovery because promoters of ind tradeco ltd increase their holding from 29.86% to 30.43 % and increasing in promoters holding is always a good sign for me. * Not buy huge quantity in penny stocks. * Do not buy after a recent bonus and split issue. * do not buy if year high / low ratio is above 2.